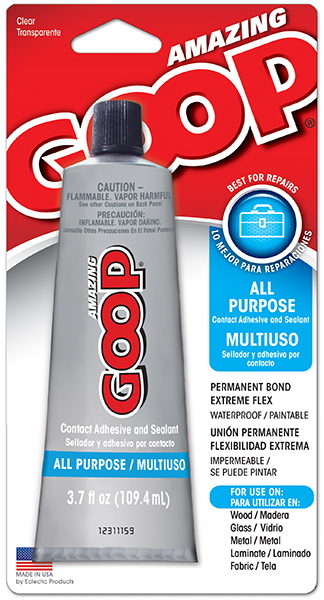 Amazing GOOP All Purpose adhesive is the strongest single component adhesive available. It’s ideal for repairing everything around the house from broken teacups to loose towel racks. It’s even sturdy enough to seal cracks in cement or adhere new handles on garden tools. Amazing GOOP seals with a flexible, waterproof hold that won’t crack or break like super glues making it ideal for bonding objects subject to heavy use.